Styrene models were often used in the vintage era to create 3-dimensional representations of proposed vehicles, playsets, or other mechanical accessories. These models would be purely conceptual. In other words, they were created in order to flesh out ideas and for basic design. These conceptual models were hand built using a variety of materials suitable for a situation where little if any heavy machinery would be used. One of the most common materials used was styrene. It was used to build models of vehicles as well as for action figure accessories. 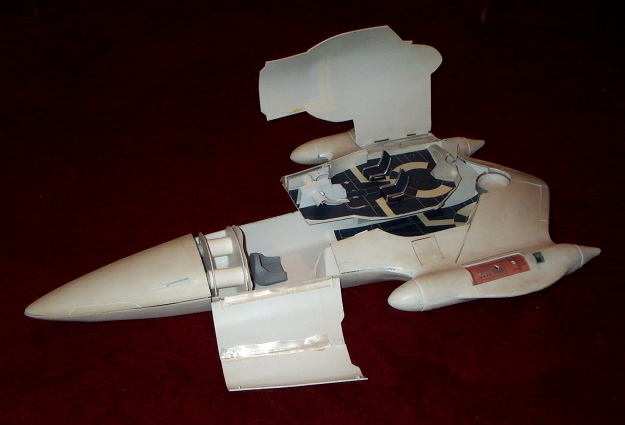 The Naboo Royal Starship styrene model pictured above is one of the most impressive and complex styrene models known. Interestingly enough, it was created in a modern era where computers have quickly replaced the more traditional hands-on approach to creating models.